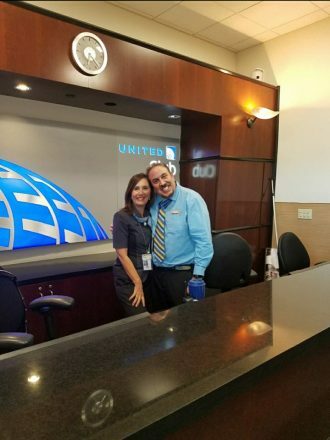 United Airlines today welcomed the newest addition to its network of more than 50 United Club locations around the world with the opening of a brand-new 5,000 square foot United Club at Fort Lauderdale-Hollywood International Airport. Located near Gate C1, this new United Club is the first of four new United Club locations set to open in 2019. In addition to the Fort Lauderdale renovation, the airline is expanding its United Club network by introducing new locations in popular destinations. This summer, United plans to open a new United Club in New Orleans in conjunction with the opening of the new terminal at Louis Armstrong New Orleans International Airport. United will also open a brand-new United Club location in New York’s La Guardia Airport to coincide with the relocation of its operations to the airport’s Terminal B. Additionally, United will introduce its first-ever United Club location in Raleigh-Durham International Airport. Designed with today’s customers in mind, each United Club location is created to serve the distinct needs of customers traveling to and from that destination and feature complimentary high-speed Wi-Fi, wellness rooms and specially curated local food and beverage offerings. United Club members enjoy access to more than 50 United Club locations and participating Star Alliance partner lounges around the world.